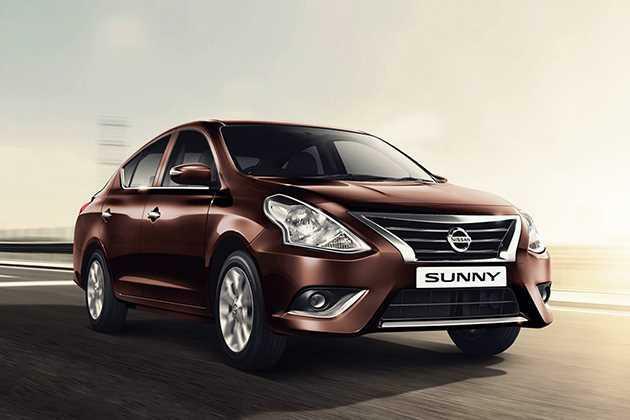 Nissan India has launched the 2014 version of its stylish sedan, Sunny in the country's car market. It comes with major updates to its internal cabin and exteriors, which gives it an asserting new look. The company is selling this sedan in eight variants, out of which, Nissan Sunny Diesel XV D Premium Safety is the top end trim. This variant comes with a safety package which includes side airbags as standard. It is powered by a 1.5-litre, K9K diesel engine, which has a displacement capacity of 1461cc. It can churn out a maximum power output of 84.8bhp in combination with 200Nm of torque. It has the ability to produce a peak mileage of 22.71 Kmpl on highways, which goes down to 18 Kmpl in city roads. This trim comes with a multi-functional steering wheel with audio and call control buttons, fine vision meters, outside temperature display, rear parking sensors and drive computer. In addition to these, this sedan also has safety aspects like central locking system, seat belt for all passengers, speed sensing auto door lock and key less entry as well. The car manufacturer has blessed this stylish sedan with a conventional body structure, which is elegantly equipped with numerous striking features. Its frontage has a newly designed radiator grille, which is treated with a lot of chrome. It is embossed with a company logo in the center. This grille is surrounded by a slightly modified headlight cluster, which is equipped with halogen lamps and side turn indicator. The body colored bumper has a wide air dam for cooling the engine and it is flanked by a pair of fog lamps as well. The large windscreen is made of tinted glass and is integrated with a pair of intermittent wipers. Its sides are decorated with chrome plated door handles and body colored wing mirrors. These outside rear view mirrors are slightly tweaked and have been incorporated with side turn blinker. The neatly carved wheel arches are equipped with a classy set of 15 inch, Y-shaped, 12-spoke alloy wheels, which gives a swanky look to the sides . These rims are further covered with a set of 185/65 R15 sized tubeless radial tyres, which provides superior grip on any road condition. On the other hand, the rear end has a wide tail gate with a variant badging and a windscreen. It is integrated with a defroster along with a third brake light that adds to the safety of the vehicle. Apart from these, it also has a bright tail light cluster and a slightly tweaked body colored bumper. The internal section of this Nissan Sunny Diesel XV D Premium Safety trim is done with a greige color scheme and is incorporated with a several advanced features. Its interiors are quite captivating, which is further emphasized by chrome plated inside door handles and glossy black finished center console. The seats are very comfortable and are covered with premium fabric upholstery. Its dashboard is fitted with a redesigned three spoke steering wheel, which is mounted with multi-functional switches. The advanced instrument panel houses a tachometer, an electronic tripmeter, a digital clock, low fuel warning light and many other such functions. The dashboard gets a trendy new look and is integrated with a spacious glove box, instrumental cluster, AC vents and a drive computer. Apart from these, the company has given this trim a 12V accessory socket, power windows with driver side auto down function, drink holders, remote trunk and fuel lid opener, trunk light, sun visors with passenger side vanity mirror, adjustable headrests, rear parcel shelf and other utility based features. This variant is blessed with a 1.5-litre, K9K diesel power plant that makes a total displacement capacity of 1461cc. It is integrated with four cylinders and eight valves using a single overhead camshaft valve configuration. It can produce a peak power output of 84.8bhp at 3750rpm in combination with a maximum torque of 200Nm at 2000rpm. This diesel mill is incorporated with a common rail based direct fuel injection system. It is coupled with a five speed manual transmission gear box, which transmits the torque output to its front wheels. This sedan can achieve a top speed of about 175 Kmph, while taking only 15.8 seconds to breach the 100 Kmph speed barrier. The braking mechanism of this latest sedan is proficient and is further enhanced by anti lock braking system along with electronic brake force distribution and brake assist system. The front wheels are fitted with ventilated disc brakes, whereas the rear wheels are equipped with solid drum brakes. The electronic power steering system is quite responsive and makes handling comfortable even in heavy traffic conditions . It has tilt adjustment function and supports a minimum turning radius of 5.3 meters, which is quite good for this segment. On the other hand, the front axle is assembled with a McPherson strut, while the rear axle is fitted with a torsion bar type of mechanism. Being the top end variant, the car manufacturer has blessed it with a lot of refined features, which gives the occupants a luxurious experience while traveling. The advanced automatic air conditioning unit comes air filtration system, which keeps the cabin pleasant at all times. The integrated 2-DIN music system supports USB/AUX-In ports along with Bluetooth connectivity for audio streaming. Apart from these, it is bestowed with follow-me-home headlamps, service interval reminder, trunk and map lamps, intelligent key with push button start, driver and passenger vanity mirror and rear comfort fan. This Nissan Sunny Diesel XV D Premium Safety variant comes with side airbags as an additional feature, which provide enhanced protection to the occupants. The list of other safety aspects include an advanced engine immobilizer, airbags for front passengers, door ajar warning notification on instrument panel, anti theft device with alarm and a few other sophisticated aspects. 1. Eye catching exteriors with brand new features. 2. Improved safety aspects are a big plus. 1. Engine noise can be reduced. 2. After sales service needs to improve.